French women don’t get fat. That’s, like…a law of nature, right? So when Patricia Wells, who is basically the queen of Provencal cooking, was next up on Gourmet’s 50 Women Game-Changers in Food (which I am cooking through with a bunch of fabulous bloggers). I had expectations. 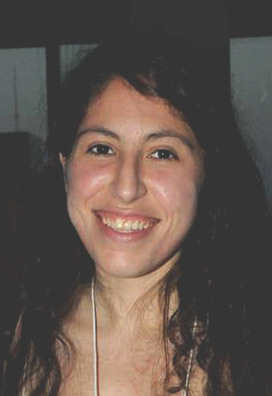 (By which I mean, I wanted her to tell me that eating bread and cheese all day every day for the rest of my life was absolutely the way to go. Instead, much to my disappointment and chagrin, I discovered that the real secret is that French women arrange slices of eggplant, tomatoes, tapenade, and goat cheese into neat little stacks. No one wants stacked food on a Friday, though. Or on a Wednesday. After running hill repeats for an hour. Or on a Thursday. After standing for 9 hours in lab. Thankfully, I remembered reading on some fabulous wonderful insightful wise-beyond-their-years blog last week that any salad can be turned into a damn good pizza (I can’t remember who the blogger was, so if it’s you then let me know!). And that, my friends, is my new mantra. That is also why I can’t be accepted into the French-women-never-get-fat society. You know. I think I’ll survive. 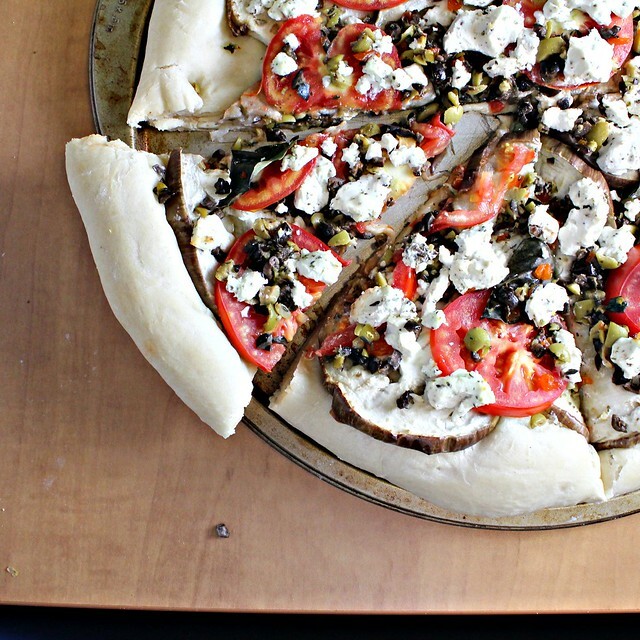 This pizza was the perfect mix of roasted veggie heaven, briny olive-y tapenade, and salty delicious goat cheese. All made fresh by the basil strewn on top. Feel free to swap out eggplant for zucchini (cough Alisa and Chris cough) if it suits you or throw feta on top if you aren’t a goat cheese fan! And check out the Patricia Wells recipes some of my BFF’s made! Preheat oven to 500, or as high as your oven goes. Grease your pizza pan with a little bit of olive oil. Roll out your pizza dough until it is large enough to cover the pan and then place it on top of the pan. Let it rest for a minute. Layer the roasted eggplant over the top of the pizza, letting slices overlap if necessary. 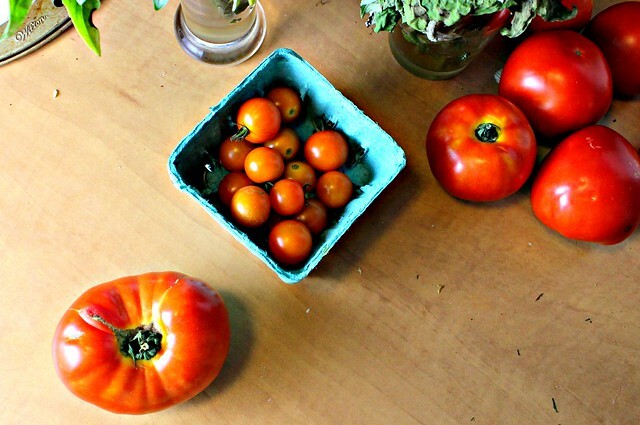 Layer the tomatoes on top of these. Distribute the basil evenly around the pizza. Grab some tapenade (literally…just scoop some out with your hands) and sprinkle it over the pizza, making sure it’s distributed evenly. Take your goat cheese log and do the same, crumbling it as you go. Put pizza in the oven and bake for 10 minutes or until the bottom of the pizza starts to become light brown. Remove pizza from the oven and let rest for at least 5 minutes before cutting. I am submitting this to Meeta’s Monthly Mingle, which is being hosted this month by Kulsum of Journey Kitchen! It has also been yeastspotted. Your pizza looks awesome Joanne and remins me I picked a couple of eggplant I need to cook. After reading this I’m jumping right over to your favorite pizza dough, I can’t stop looking at it, and I’m so done with that Trader Joe’s pizza dough. Your photos are very persuasive! I can certainly eat this every day of the week! Just love it! Pizza is always so much fun to play around with and the flavors in this one with the cheese and the eggplant are amazing! Sure wish you would have sent it my way! I just read your entire post and I’m pretty sure you said that French women don’t get fat because they live on bread, cheese and wine. Oh, and I love this pizza! Nice colors and flavours in the pizza. Why don’t pizzerias offer such pizzas? Run a CBC, doc, that pizza looks seriously anemic. I would pay to eat your leftovers…and I usually don’t even like to pay for any food that I don’t make myself. First of all … lovin’ the look of that airy white pizza dough! Stackin’ the veg and cheese on top is always a good idea! Patricia Wells has been a good discovery all the way around! As for the ‘hot date’? … weirdo! Indeed, any salad can be turned into a pizza. My fave: butternut squash, goat cheese, caramelized onions and sage. 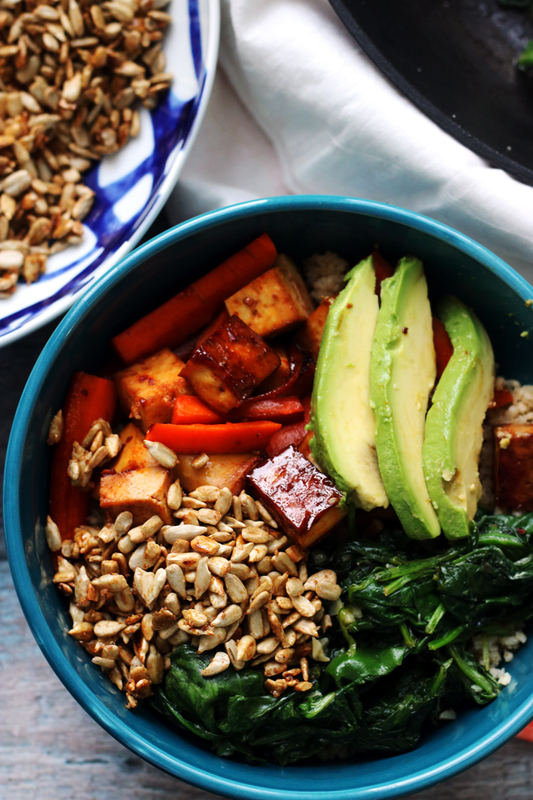 ugh, I want this for dinner! i need to go get goat cheese. I like the idea of this with zucchini, it needs some green! Very pretty though! french women depress me…bring on the pizza!! 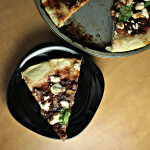 Looks amazing – I am getting ready to write a post about our eggplant ricotta pizza that we had this week. Great minds think alike. 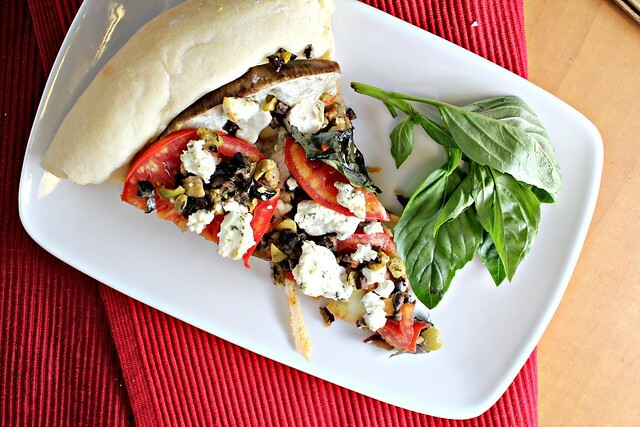 You just can’t go wrong with veggie pizza. I like Patrica Wells quite a bit. All of her recipes are so appealing. You all are doing a great job of honoring the 50 top cooks!! I’m up for turning salads into pizza toppings, that is a genius move. 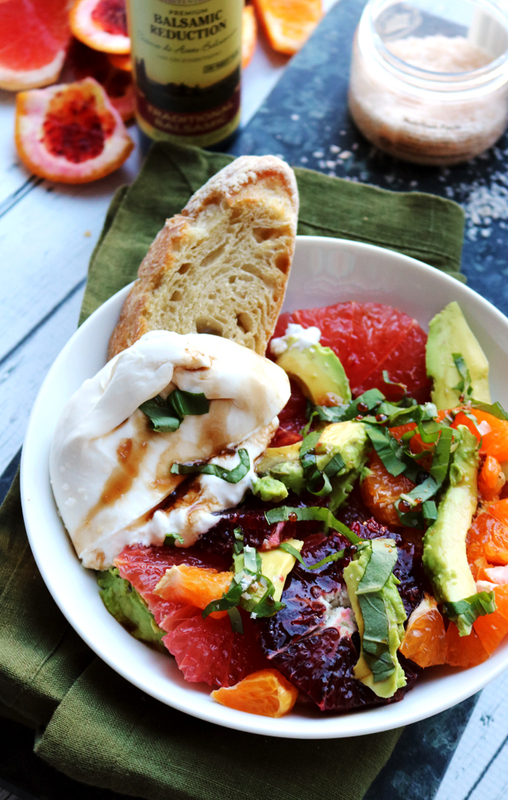 This one sounds awesome, and I loves me some goat cheese, so perfect! French women don’t get fat cause they eat carbs! This also makes them sexier. I’m not sure how but i read it somewhere which means its true! Joanne, this looks incredible. I always forget how simple homemade pizza is. I think a version of this is in my near future, i.e. when I am overwhelmed with tomatoes again next week. Don’t French women also drink massive amounts of wine? Maybe that’s the key?! I think this sounds better as a pizza than a salad. Good call! I think you improved on the salad by making it into a pizza. Roasted veggie heaven is my favorite place in the world! Skinny or not, this looks like ambrosia!! And all can be had tomorrow at the farmer’s market. The cheese is already waiting for a “date”. Tapenade and goat cheese…a match made in heaven. I love that a good salad can be made into a pizza. So true! Hmmm I don’t know if I buy the “French women don’t get fat theory.” I think I’m gaining weight just looking at this picture. That’s some great advice about the salad and pizza. I can think of some salads I love that would go great on pizza. I also think I might have just found a use for the two eggplants that jumped in my arms at the farmer’s market yesterday. Your pizza looks amazing!!! I love the idea, and next time I’m making pizza, this will be it! 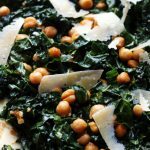 “…any salad can be turned into a damn good pizza” – I believe that! Also? I believe that dessert food is acceptable any time during the day. Even breakfast. Which is why I will also not be accepted into the French-women-never-get-fat society. Hey! Thanks for mingling with us with such a good pizza recipe! Love it. This is such a beautiful pizza! Yummm! 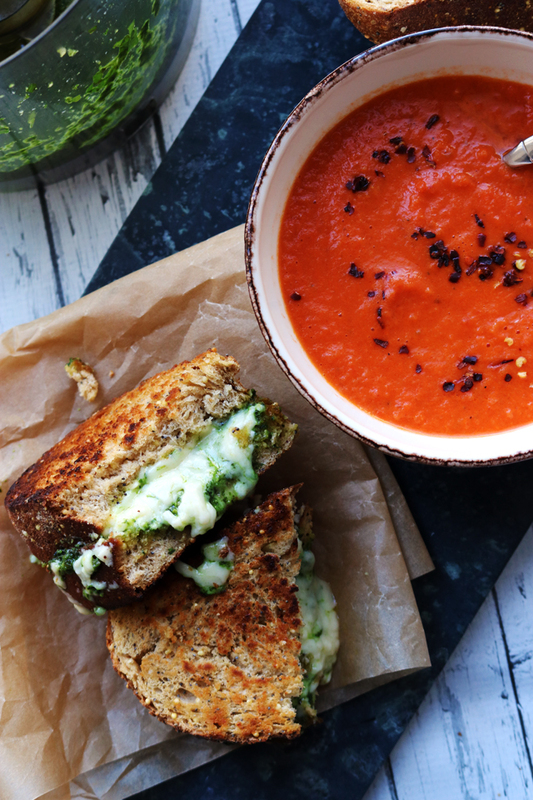 I would not mind eating bread and cheese every day! 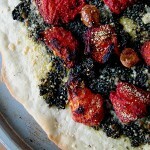 yeah i’d go for this pizza… maybe without the tapenade. i’m only just turning the olive corner. but goat cheese, who doesn’t love that? just made a goat cheese ice cream, need to post that soon! love that quote, too. Love how you turned this into a pizza from Provence, perfect for a Friday night. Your pizza dough looks so nice and light! Love it! I love me eggplant! Can’t tell form the photo but does enough of the tepenade slip thru so you fell as if you have a “base” to your pizza? I think i could definitely take this pizza on all kinds of adventures… pesto comes to mind… Thanks for another thought provoking item! Great combination of flavors – love this! This just looks fabulous…what a great idea for a pizza! Nice job! What a creative idea! I never would have thought of turning a salad into a pizza. I love it! This looks delicious and I grinned while reading your post as well. I’ll join you in the I could never be French club. That looks so good. From the pre-pick up email, it seems that I will be getting all of the veggies necessary for this from my CSA. This might be dinner one night! Also, take it from an internet dating veteran (who is happily in a relationship with someone she met through internet dating): sometimes you just have to make the first move and say “do you want to grab a drink or something”. French women don’t get fat? I want to eat, not exercise and not get fat. That must be forbidden! No brand of pizzas can beat yours Joanne. That looks “CRAZZILY” beautiful and mouth watering delicious! I can actualy frame that photo of your pizza and hang it on my wall and say it is food art! I don’t mind getting fat eating this. My mouth is watering. You always make me laugh Joanne…and we ALL need to laugh at any given moment so thank you mostly for that even thought the recipe and pizza are incredible looking. So amazing. Who says vegetarian pizzas can be boring? this is SO not true. Oh loving the egg plant and flavours on a plate for sure. I lugged back 2 sacks of King Arthur premium pizza flour from the US last March… and have not done anything with them yet! This is a delicious reminder! 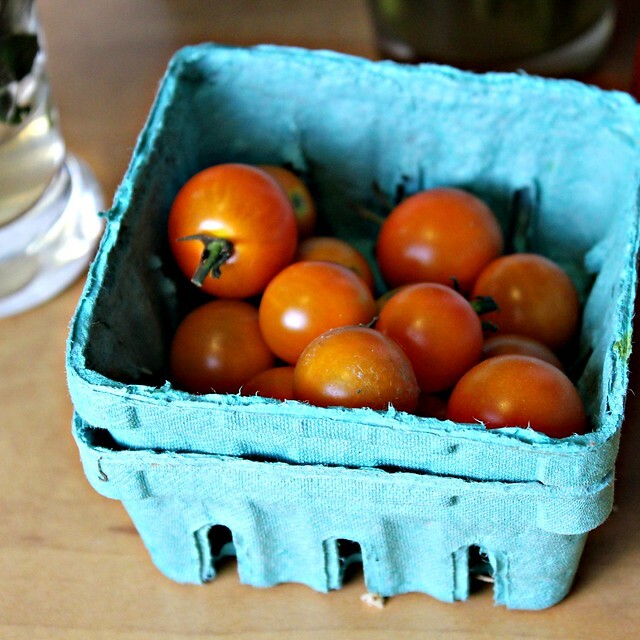 I can’t get over how beautiful those tomatoes are – yum! 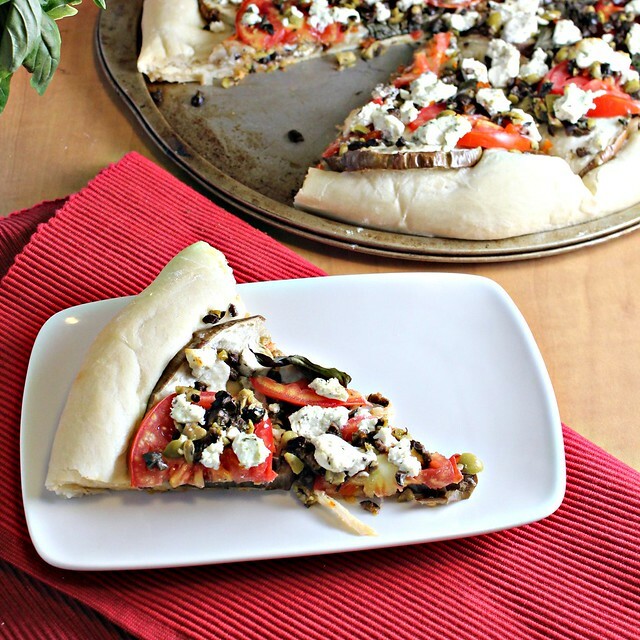 Love the pizza – the tapenade is inspired! haha to natashya’s comment! this looks wonderful, those french babes got it figured out. i love the colors. running hills for an hour? go girl! Oh this pizza looks amazing. Those French women are just freaks…eat all the cheese and bread you want. Especially in the form of pizzas. Our minds are on a groove, this is about identical to the pizza I made for lunch yesterday! Different cheese is all. A perfect summer deckside meal. I’m happy to tell you eating bread and cheese every day is the way to go! Eating this pizza every day doesn’t sound like a bad idea either! I don’t think I’d make it in the French women’s club either. I’ve got to have my carbs. I love that you took this salad recipe and put it on top of a pizza. It looks bright and fresh and completely satisfying. I am drooling! This beautiful pizza is wonderful. Healthy too. This pizza looks awesome!! Every time I red your posts I leave hungry!! Really this looks so delicious that I want to get the ingredients and make it tomorrow!! This is like a breath of fresh air! I am so tired of traditional pizza. The topping rocks! The combination of Mediterranean herb-infused goat cheese and tomatoes and eggplant sounds really tasty, although I’m not much of an eggplant fan myself. Beautiful pictures as always. That is one beautiful pizza, my dear! And, it’s true, it’s ok to eat bread and cheese every day for the rest of your life. I bet French women would get fat too if they eat cheese and bread all day every day. 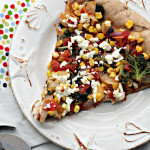 Love the topping..earthy and different from the pizza toppings I have ever known. Wherever and whenever there is pizza on the menu, I’ll be around for sure! This provençales flavours pizza sounds sooooo good!! I m reading about the French and food right now too (and i swear u dont want to know its the book by Dr.Dukan :-))) ), and i know exactly what u say! Today im on a diet though , i had chocolate and coffee for breakfast and only Buttery CInnmn Vanilla Monkey bread the whole day , and am gng to work my bum out in a bit (yeah i work out 7 days a week muc to the chargin of my muscles that demand to have a day off to rest and build)…ok ok enuf saig , ur pizza’s are the best around and makes me wanna bake a batch right away…. Eggplants on a pizza is something that I haven’t yet tried but it’s looks fab!!! an amazing combination of delicious ingredients in this pizza! Love the goat cheese topping! I LOVE olive tapenade. And goat cheese. And basil. And tomatoes. I’m still on the fence about eggplant, but I think I must make a form a an educated opinion. Like a food scientist would. Beautiful photos Joanne. I’d love a slice of all that freshness right now. The combination of basil, tapenade and goat cheese is positively heavenly. What a gorgeous pizza. I like, I want . . . right now! Summer= tapenade cravings. Great pizza. 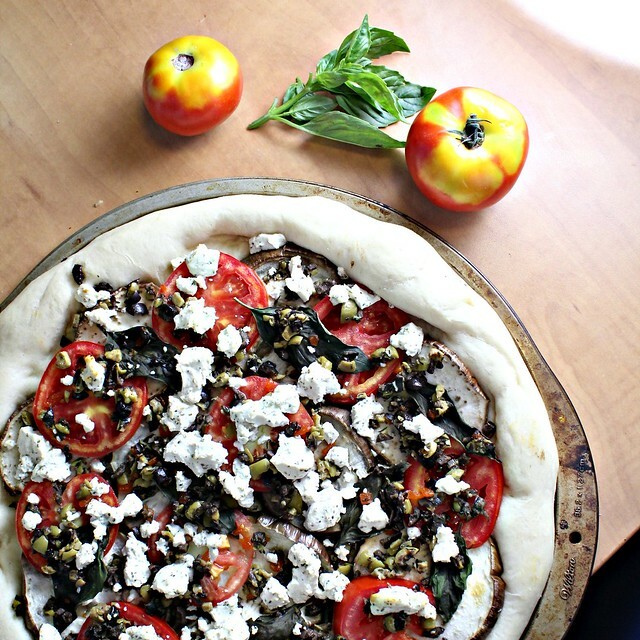 Great summer pizza…..leaving for Provence in a few weeks! Can’t wait! Been a fan of Mrs. Wells for decades. Heard she is a marathon runner now??? I guess the luncheons in the Parisians bistrots are out. This pizza is fabulous, just what I would want on a pizza. Mmm, pizza, looks so flavorful and fabulous! This pizza looks amazing and I don’t think I can ever be like French women :)Hopping to check the links u shared. I hear from a couple of people who live in France that it isn’t true – French women get as rolypoly as the rest of us! Anyway, it’s a fabulous-looking pizza. gorgeous pizza with layers of lovely flavor. Ooh, I love pizza recipes. This incorporates everything I love! My man’s parents built a woodfire oven on their farm… I’d love to take this recipe out for a spin. This is pizza done right girlfriend! Love it!!!! Oh yes, a great combo of ingredients is great no matter how you stick them together – neatly stacked, over pasta, with grains or overtop leafy greens! This looks great, Joanne! This looks like it could be my new favorite pizza. Soooo good. Love the tapenade…which I can eat on pretty much anything. Or just with a spoon. 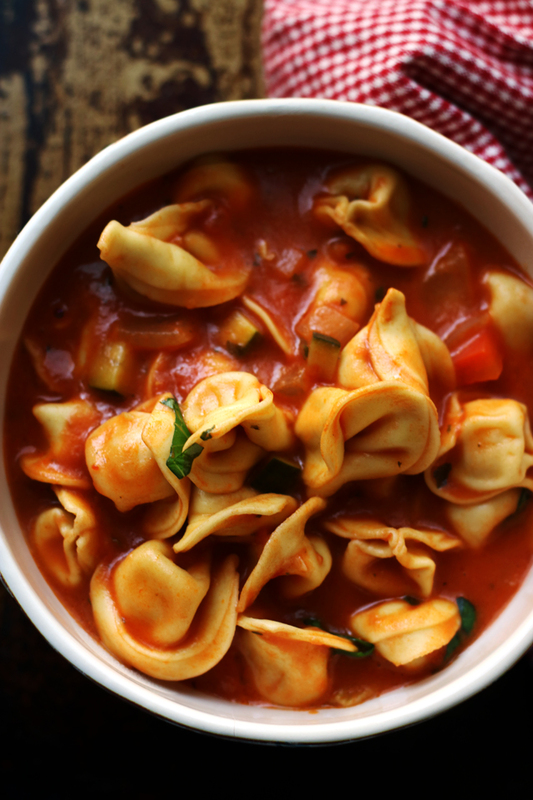 This looks way to delicious to be able to make at home… I’m gonna give it a try though! I love the idea that any salad can be turned into a pizza! And this is a great example of it.